With the advancements in today's technology, we have to continually strive to stay on the cutting-edge of the latest treatments and techniques available to ensure you receive optimum results. Patient Education Software, which allows us to clearly communicate the various treatment options available to you so you can make a well-informed decision about your treatment that will produce the best results. Advanced diagnostic equipment that allows us to evaluate your teeth and overall dental health more efficiently and effectively. Latest types of orthodontic appliances, from growth-modifying appliances and braces to the archwires used to guide your teeth to their new position and the retainers prescribed to keep them there. We believe our practice is unique because we are dedicated to staying on the forefront of the latest advancements in the industry so you achieve the beautiful, healthy smile you expect and deserve. Our team of experienced doctors and professional staff work seamlessly together, sharing information and experiences to evaluate and implement the best there is to offer. 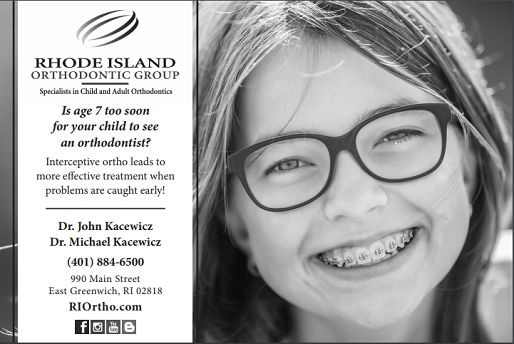 Four professionals sharing ideas to best serve the interests of our patients… that's the Rhode Island Orthodontic Group way.